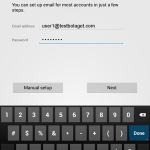 This guide shows you how to add an account to manage e-mail, contacts and calendar on an Android. Not interested of upgrading? Follow the guide Add e-mail account in… instead. 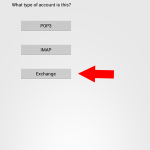 Click Settings > Accounts & sync > Add account. Fill in your e-mail address and password. 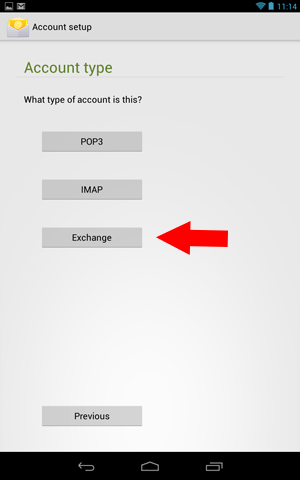 Exchange ActiveSync is a technology that was developed by Microsoft and used to send information between devices, such as Work2Go Pro server and your mobile. 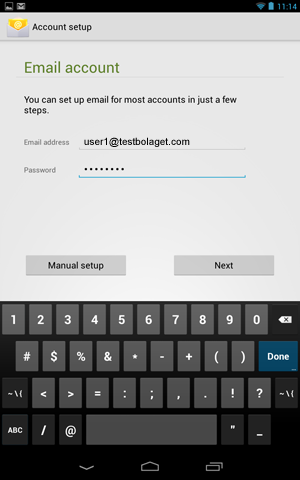 Enter your e–mail address and password. Use SSL and Port 443. Fill in an account name. 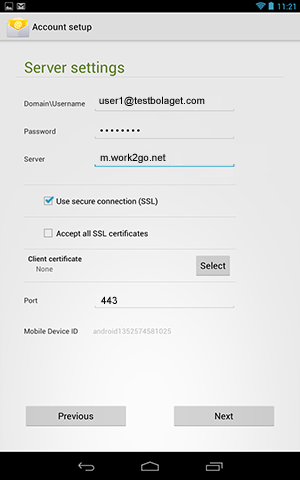 Test your e–mail address and password on www.work2go.net/. Check all the settings in your phone again. Are you unsure if you have Work2Go Pro or not? Contact our support.